We’ve all seen the “distracted driver” in action while we’re driving. If the polls are to be believed, a third of us have been the distracted driver at some point or another. At the Rocky McElhaney Law Firm in Nashville, we’ve seen first-hand the devastation that can occur when you’re injured by a distracted driver. That’s why our team of accident attorneys takes pride in holding distracted and negligent drivers accountable for their actions. When you’re injured by a distracted driver, you want an accident lawyer who fights aggressively on your behalf. Let us handle the fight so you can focus on getting well. Any time you divide your attention between driving and performing another activity, you’re at risk of a car crash. 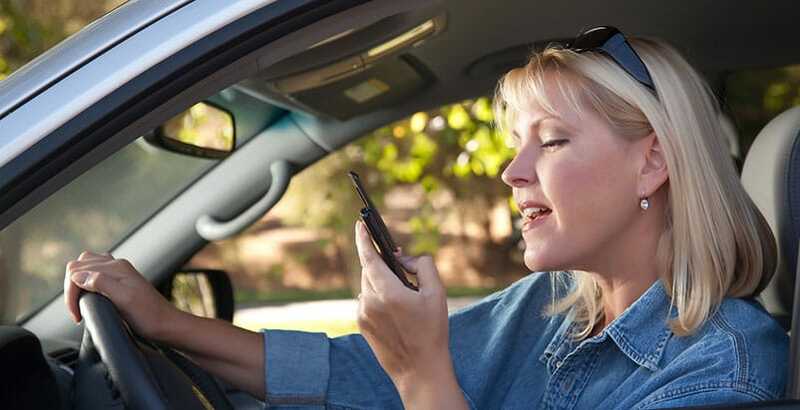 Tennessee has banned talking on cell phones completely for both new drivers and for bus drivers in an attempt to lower the amount of car and truck wrecks related to distracted driving, but many drivers still break those laws every day. When they do, they increase your chance of being seriously injured because of their negligence. When these accidents are fatal, we file wrongful death lawsuits on behalf of our clients whose loved ones paid the ultimate price. A car crash can cause untold amounts of physical, emotional and psychological damage. We know how stressful it is when you’re worried about paying the medical bills or losing your job because of your injuries. We are tenacious litigators who stand up to insurance companies that don’t want to pay you the money you need to recover. We work with field experts, medical professionals and law enforcement to build a rock-solid case against the negligent driver who caused your pain and suffering. At the Rocky McElhaney Law Firm, we never stop fighting for you. Driving carries significant risk for young drivers because of their inexperience and propensity to be distracted. Parents of teens have a responsibility to teach their young drivers how to be safe drivers by establishing ground rules for when they are behind the wheel, and making sure that they have enough supervised practice time before they go out on the roads driving unsupervised. The National Safety Council (NSC) reports that about half of teens will be involved in a car crash before they graduate from high school. The AAA Foundation for Traffic Safety reports that more than 5,000 people have been killed in traffic crashes involving teen drivers during the period that begins on Memorial Day and ends on Labor Day –the 100 deadliest days of the year for teen drivers. About 60 percent of those crashes involving teen drivers were caused by distractions behind the wheel. During the 100 deadliest days, an average of 1,022 people die in crashes involving teen drivers, and the average number of deaths from traffic crashes increased by 16 percent for drivers between the ages of 16-19 (as compared with the other days of the year). The Nashville-based Rocky McElhnaey Law Firm protects the rights and the futures of people just like you, who were injured by distracted drivers. We don’t stop fighting until we know your future is secure. To schedule a free initial consultation at Nashville’s premier personal injury firm, please call 615.246.5549 or fill out our contact form. We help people throughout Tennessee, including injury victims in Columbia, Knoxville, Kingsport, Memphis, Chattanooga, Murfreesboro and Hendersonville.